Pinterest is a platform with extraordinary selling power and is the #2 social outlet (behind Facebook) in influencing consumer purchasing decisions. While 70% of Pinterest users are women, the platform continues to bring in new users of all ages and gender by being a discovery source for new ideas and products. 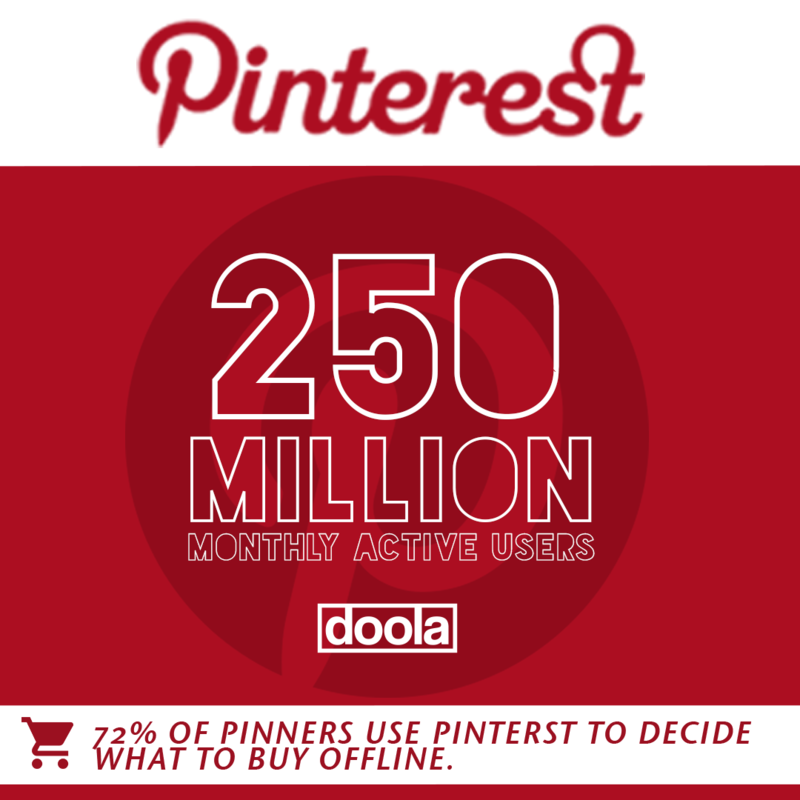 Pinterest has quickly become a virtual shopping list and wish list for the every day consumer. Advertisers have the ability to target both interest sets based on the consumer’s viewing habits and can even pinpoint specific keywords and search queries to find people actively looking for relevant products or services. 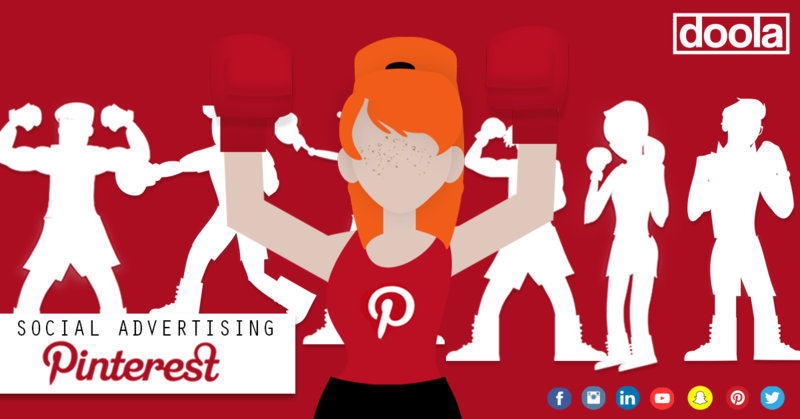 If you value reaching moms with your advertising, Pinterest should be a vital component of your marketing strategy. The platform is also highly composed of baby boomers and is the #2 social outlet (behind Facebook) for reaching Adults 50+. Biggest Weaknesses: As of 2018, Pinterest only allows you to target general locations like large cities and metro areas. There is no Zip Code Targeting available. These are Pinterest’s most used creative format on the platform that allow advertisers to increase reach with objectives, such as, Web Traffic, Brand Awareness, or App Installs. You have the option to promote your pins within search results or in a user’s feed as they passively browse content. Promoted Pins can be targeted to consumers based on past activity and interests on the platform or based on a list of keywords uploaded to the advertising dashboard. 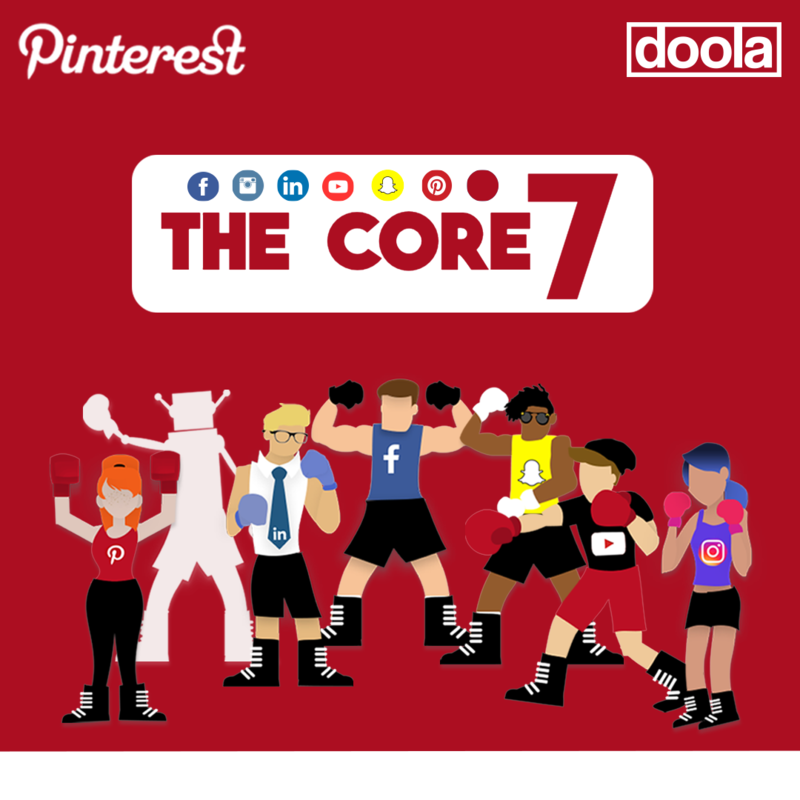 As with most of the Core 7, Pinterest offers website retargeting, CRM list targeting, engagement audiences, and even “actalike” models based on your current customers. 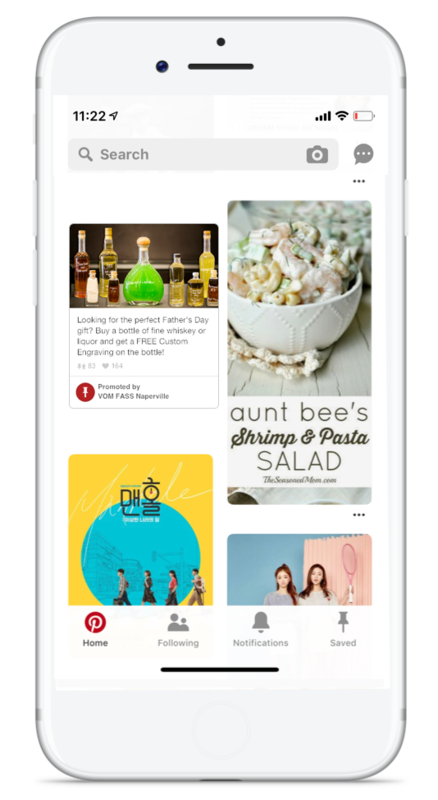 These expandable pins allow advertisers to take Pinterest to the next level with in-platform experiences that provide more context about an idea or product. 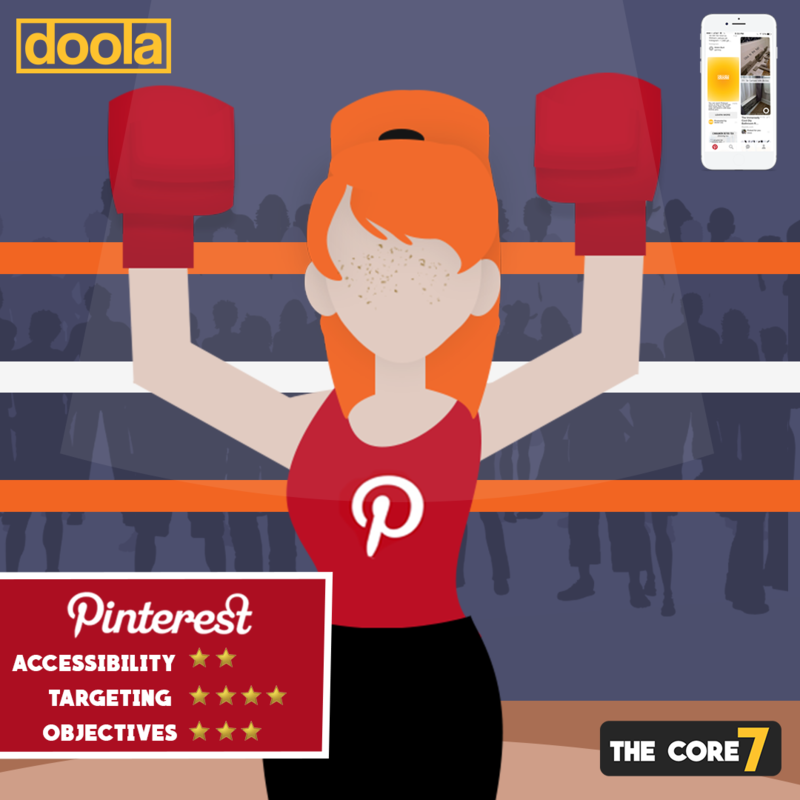 There are four categories of Rich Pins offered: Product Pins which include real-time pricing and availability, Recipe Pins which include detailed information like ingredients and cooking times, Article Pins which display a description of the full article and headline, and App Pins which display a download call-to-action button that allow you to download from the iOS App Store without ever leaving Pinterest. 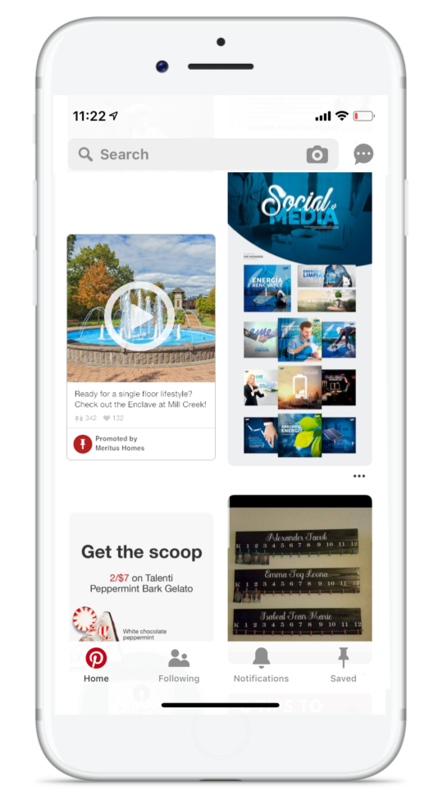 As every platform continues to capitalize on video, Pinterest allows you to bring your brand story to life with Promoted Video. 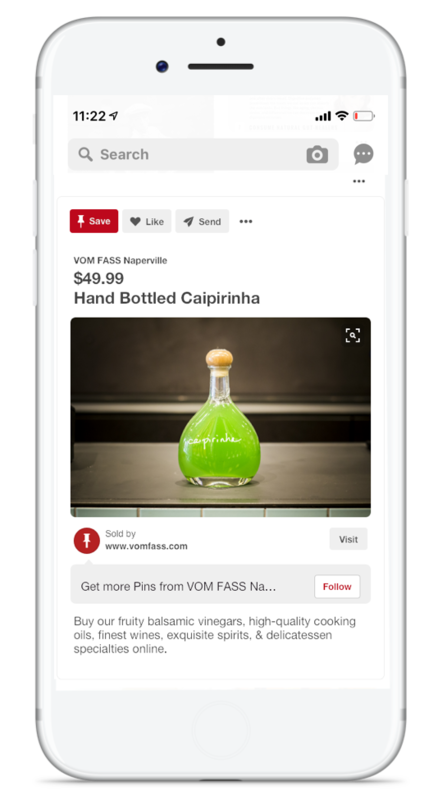 To differentiate from other platforms, Pinterest has coupled their video feature with the ability to feature relevant Pins beneath the video. This seamless experience allows brands to tell a story or show a product in use and then drive traffic directly to that product page on their website to purchase. You can promote your video in a vertical 9:16 ratio, a widescreen 16:9 ratio, or in a 1:1 square format. Videos can be a maximum duration of 30 minutes, however short-form :15-1:00 videos are recommended for peak performance. To capitalize on the platform’s strong influence in purchasing decisions, Shoppable Pins streamline the consumer’s path to purchase. 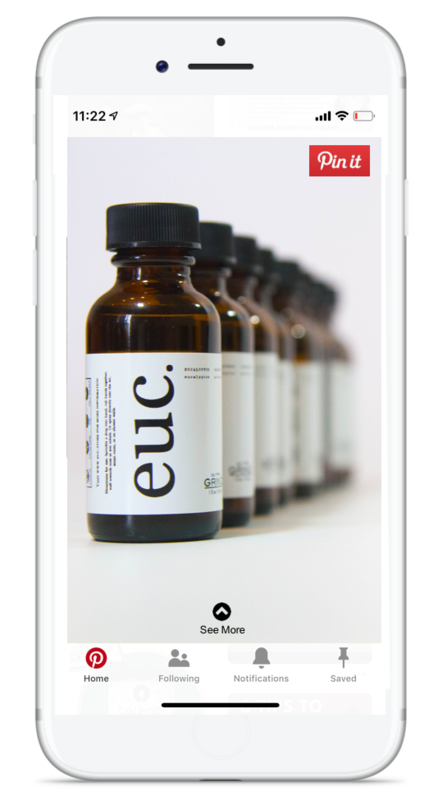 These pins provide up-to-date pricing and availability and can lead directly to the retailer’s product page with one click. You can even find the locations to buy individual items within a specific Pin!